[Tokyo, Japan] Tip for travellers in Tokyo. 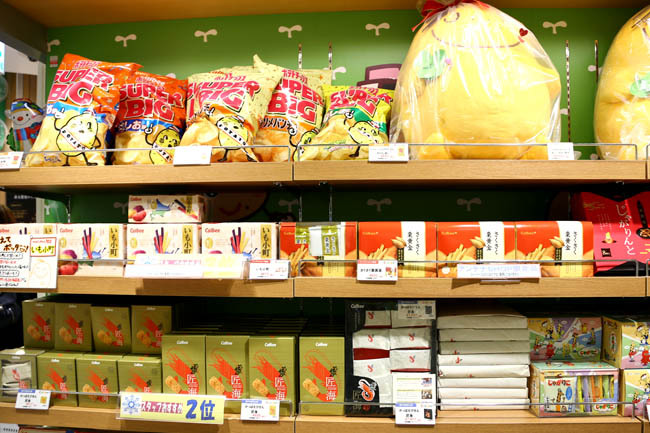 If you need to get popular Japanese snacks (think Calbee, Kitkat or Pocky in all possible flavours, Tokyo Banana), character toys and 8 different ramen shops in one single place, head to Tokyo Station. First Avenue Tokyo Station was a food wonderland. No joke. It contained a Tokyo Okashi land, Japan’s first confectionary-themed retail zone. This was my recent discovery, and I was like a child making a first trip to a candy store. Bright-eyed, excited, adrenalin pumped. Fans of Rilakkuma, Pokemon and Ultraman etc etc etc, you get mechandises at the Tokyo Character Street. There were some who came packing boxes of titbits into cabin luggages. So, you can imagine all the madness that happened during peak hours. People were queuing at all the popular stores. (A line at Garrett’s popcorn snaked beyond a few shops). 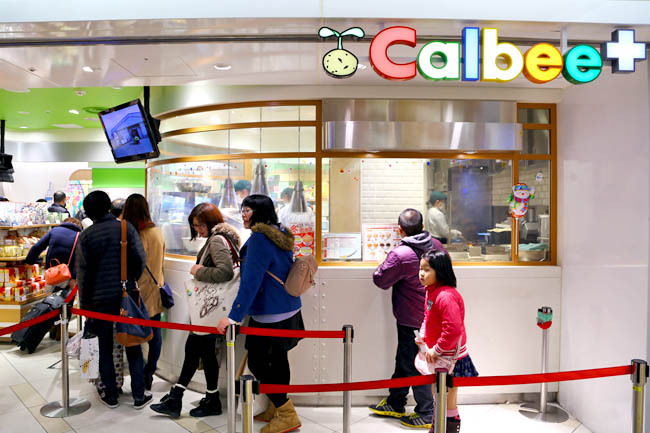 I was particularly distracted by the Calbee カルビ plus store, seeing that the potato chips were deep fried on the spot. 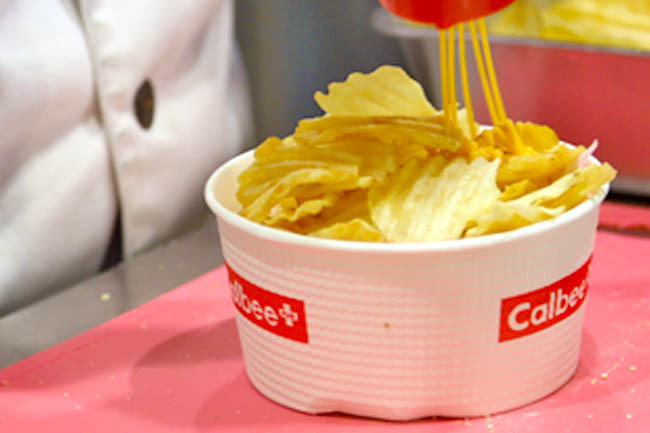 Fresh Calbee potato chips. For the snack lover, it does not get more indulgent than this. Crisp out from the fryer, drizzled with Royce Chocolate sauce, and served with soft serve ice cream (460 Yen, SGD$5.10). 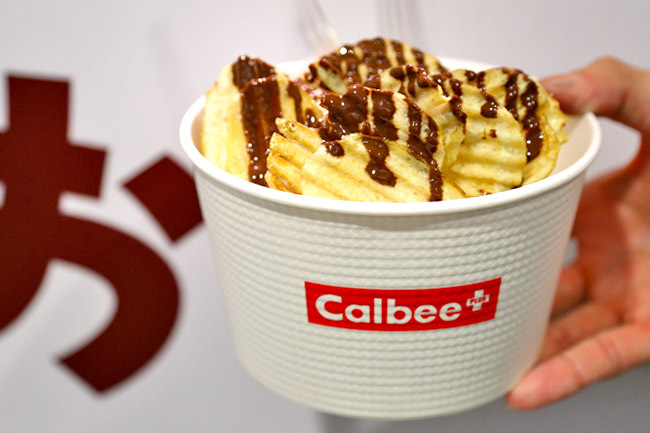 Other Calbee with toppings include Salt & Butter (290 Yen, SGD$3.20), Double Cheese (290 Yen), Royce Chocolate (310 Yen, SGD$3.40) and Soft Serve (410 Yen, SGD$4.50). 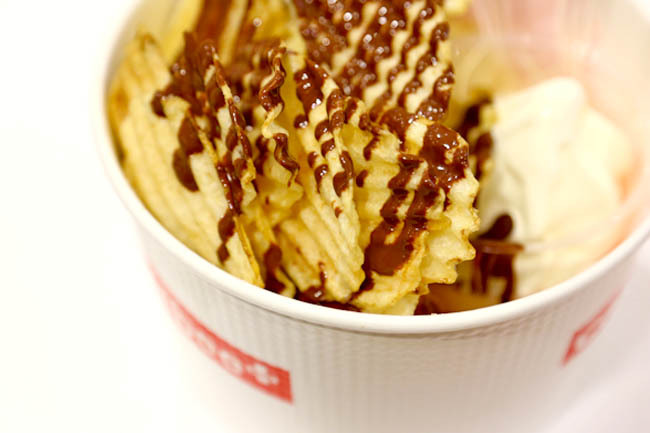 Imagine textures of crisp chips vs soft serve, hot sauce vs cold dessert, salty vs sweet – cheap thrill (that you may want to try at home) but it worked. 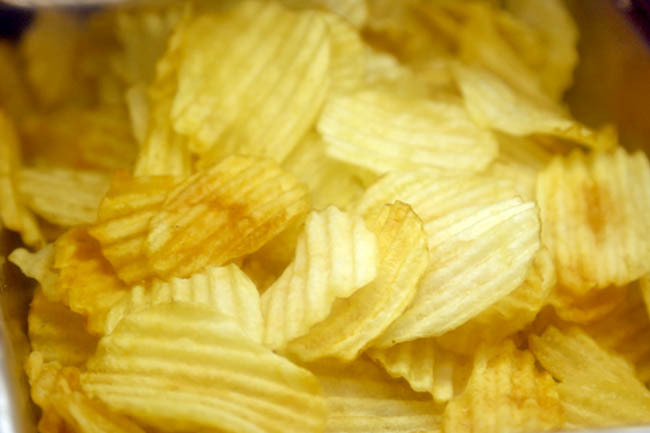 The pale yellow crinkle cuts were light and not too oily. But hot. Certainly this was menace for the throat, so you may want to get water ever ready.